May you experience much disorder and trouble in your life. While purporting to be a blessing, this is in fact a curse. The expression is always used ironically, with the clear implication that 'uninteresting times', of peace and tranquillity, are more life-enhancing than interesting ones. 'May you live in interesting times' is widely reported as being of ancient Chinese origin but is neither Chinese nor ancient, being recent and western. It certainly seems to have been intended to sound oriental, in the faux-Chinese 'Confucius he say' style, but that's as near to China as it actually gets. 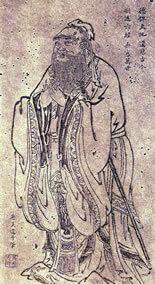 Confucius's actual sayings are as elusive as those of his western counterpart Aesop - we have no written records from either of them. Some years ago, in 1936, I had to write to a very dear and honored friend of mine, who has since died, Sir Austen Chamberlain, brother of the present Prime Minister, and I concluded my letter with a rather banal remark, "that we were living in an interesting age." Evidently he read the whole letter, because by return mail he wrote to me and concluded as follows: "Many years ago, I learned from one of our diplomats in China that one of the principal Chinese curses heaped upon an enemy is, 'May you live in an interesting age.'" "Surely", he said, "no age has been more fraught with insecurity than our own present time." That was three years ago. This citation has to be treated with caution as Chamberlain didn't speak Chinese and never visited China, although he was in contact with diplomats stationed there during his time as British Foreign Secretary, that is, 1924-1929. We have the 1939 citation in print, so the 'interesting age' form must be at least that old. If we are to believe Coulson's assertion, the phrase dates from before 1936 and, if we trust in Chamberlain's recollection, we can push the origin back to pre-1929. Most generations think their times are especially troubling - now as ever. Senator Byrd probably had a better reason than many to call 1940s USA 'interesting', as it was less than a year after the US's use of atomic bombs and the surrender of Japan and Germany in WWII and only a month or two after Winston Churchill's 'Iron Curtain' speech, made in Fulton, Missouri, warning of the rise of Soviet power. The Phrase A Week newsletter goes to 123,000 subscribers (92,000 by e-mail, 31,000 by RSS feed). Q. In my Gmail address, I have a period in there to separate my first and last names for easier reading. When I was logging in the other day, I mistyped my user name into the Gmail Web site without the period but my password still worked. How is that? A. Although the period in the first part of your e-mail address may make it easier for humans to process at glance, the Gmail service ignores it. In other words, the system sees honey.badger@gmail.com and honeybadger@gmail.com as the same address and your password works with either variation. While leaving the period out when logging into your Gmail account will not save you much time, you can play around with different versions of your address to save time elsewhere — like sorting through marketing offers or mailing lists. You can insert a "+" or additional periods in the first part of your Gmail address (up to the @ sign). Then you can use that modified address when buying things online, posting online or joining a discussion group by e-mail. Later, you can filter messages based on the version of the address that was used. A post on the Gmail blog explains how it all works here. Welcome our new Silicon Overlords ! Carrying the Olympic Flame gives budding athletes the chance to be a part of the biggest sports competition in the world, but why should humans have all the glory? James Law, a computer scientist at Aberystwyth University has nominated a robot to be part of the London 2012 Olympic Torch Relay. Law has suggested that the iCub robot, which is designed to learn from the world like a human toddler, should be given a chance to take part in the event as a tribute to legendary computer scientist Alan Turing. "2012 will mark the 100th anniversary of the birth of Alan Turing, the founder of computer science and a figurehead for the code breaking efforts of WWII," he said. "A robot torch bearer would be a fitting tribute to Alan Turing, and an inspiration to future generations of scientists and engineers." The robot has been nominated through a scheme sponsored by Lloyds TSB, which has over 800 torch bearer slots available, but it seems that iCub fails to meet the minimum requirements as nominees must live in the UK and be aged 12 or over. As a toddler, iCub clearly fails the age requirement. And while the robot does indeed reside in the UK, it's not actually alive. That makes any robot a long shot for inclusion, at least for now. Maybe by the next time the Olympics come to London, it'll be a different story. If a woman invites me to her place for dinner, I'll ask if she wants me to bring anything. I do this for two reasons: (a) to be polite, and (b) to see if her answer sets off any bells of the alarm-like variety. One time I asked this question and the woman e-mailed me back the following list: (1) duct tape, (2) large "contractor style" garbage bags, (3) shovel, (4) chainsaw. Whoa! Do I need to spell out what that ring-a-ding-ding sound I started hearing was? Not only did I not bring those items but I bailed on dinner and blocked her on Facebook. Maybe I'm too uptight, but I think a first date is a little early in a relationship to expect someone to bring such nice gifts. I’m Under Arrest for WHAT ? Every state in this country has at least one wacky legal stipulation that could land residents in hot water if they don't comply. The article lists a strange law associated with each of the 50 states. Whispering in someone's ear while he's moose hunting is prohibited. You may not eat an orange in your bathtub. No gorilla is allowed in the backseat of any car. It's against the law for a man to knit during the fishing season. It's illegal to sleep on top of a refrigerator outdoors. You may not shoot a buffalo from the second story of a hotel. The 1994 film version of The Fantastic Four has never been released, probably by design. The producer, Constantin Film, was in jeopardy of losing the rights to the comic book franchise unless it exercised its option and made a movie. It wasn't prepared to mount a blockbuster, so instead it brought in producer Roger Corman, who cranked out a film for around $1.5 million. The low-budget nature of the project is clear from the first frame: Special effects are not special, and the Thing looks more like a pineapple than a monster with rocklike skin. And then there's Mister Fantastic's elastic limbs. "It was little more than a mannequin arm with a piston attached to it," says Alex Hyde-White, who portrayed the character. Heartbreakingly, none of the actors knew that the film was only meant to fulfill a contractual obligation. "I thought it could help me break through as a dramatic action star," Hyde-White says. Jay Underwood, who played the Human Torch, remembers that the picture generated some buzz during production. "Magazines were already wanting interviews," he says wistfully. He's now a pastor at a Baptist church in Northern California. The movie has become a Plan 9 From Outer Space for comic book geeks, and bootlegs are often screened at conventions. Meanwhile, Constantin Film held on to the rights, and its big-budget 2005 Fantastic Four film grossed $330 million. 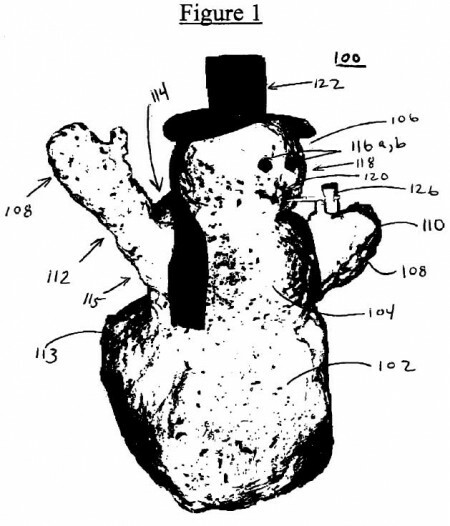 New patent granted for building a "snow man/woman"
The patent document is written in unusually conversational style. "The history of the snow man or snow woman is unknown. But, I have to say this. Whoever the first person was to think to form snow into a human figure was a genius." explains inventor Asperas, of Melville, NY, (US). "Compacted snow is virtually like ice! And you have to lift the darn thing a good four feet. Now this is really back breaking. Not to mention that now you have to put the head on top. All of this is pretty difficult even for an adult (or big kid) like myself." "Another thing has always bothered me when I have built snow people. You can never make a perfect snow man. The snow balls are never, and I mean never, perfectly round. They are always lop-sided and look sort of doofy." "The following is not a joke patent. Its completely serious and is a serious undertaking to obtain a patent." "It is said that the most ingenius [sic] ideas are the most simple in design. The Wheel. The Toaster oven. And, yes, now the ultimate Snow Man." This weekend, a million monkeys will recreate a work of Shakespeare, claims programmer and technology enthusiast Jesse Anderson. Anderson, a development manager and senior software developer in Nevada, is on the cusp of proving the "infinite monkey" theorem — which loosely states that given an infinite amount of time, even a monkey tapping away at a typewriter could produce the works of Shakespeare. It's a milestone Anderson hopes to reach in a little over a week. "I think the monkeys will have completed their first work by this Sunday and the rest over the course of the week after that," he told FoxNews.com. Without access to real monkeys on typewriters, Anderson instead turned to the virtual jungle, creating an army of computerized monkeys with Amazon's EC2 cloud service. The e-monkeys are programmed to produce gibberish, mimicking a monkey mashing keys on a keyboard, whereby special software then compares these strings of keystrokes with a given bit of text, Anderson explained to FoxNews.com. Those mashed keys have combined to create almost the entire of works of Shakespeare. Anderson, who began running the project August 21, believes the first work will be completed Sunday, Sept. 11, while his monkeys will have the whole shebang done and dusted the week after -- probably. "I can't say for certain since it's purely random," he told said. Anderson's project could lend credence to the age-old theory, which has seen less success in the real world. In 2003, scientists at the Paignton Zoo and the University of Plymouth, in Devon, England, reportedly left six Sulawesi Crested Macaque monkeys with a computer keyboard for a month. Not only did the monkeys produce nothing but five pages consisting largely of the letter S, they began by attacking the keyboard with a stone, then proceeded to urinate and defecate on it. Anderson, who has had more than a few angry letters from the more mathematically inclined, maintains that this is simply a fun side project. "I think I have a sense of humor about it," he told FoxNews.com. "It's kind of a tongue in cheek thing." With the finish line in site, Anderson already has his sights set on his next project. "I thought it would be cool to produce as many works of mankind as possible for the next iteration," Anderson told FoxNews.com. The Einstenian Hillbilly Theory of Marriage: It's all relative. Fermat's First Theorem: The one he made in pre-school that showed why bullies are idiots. The High School Uncertainty Principle: You can never simultaneously tell how fast you should be moving in a relationship or at what position you are currently in. Central Limit Theorem as Applied To Dancing: In large populations, the drunkest people tend to congregate in the middle of the dance floor. Law of Large Numbers as Applied to Nerds: Just because that girl will go out on a date with you doesn't mean you got skills. That's called luck. Ohm's Law as Applied to Relationships: You are currently in a relationship if you are getting a lot of action and not a lot of resistance. Plank's Constant: What pirates believe in. JEFFERSON CITY, MO (The Borowitz Report) - A rabid Doberman Pinscher jumped on stage at a Tea Party rally in Missouri on Labor Day and barked at the crowd for nearly twenty minutes before people realized he was not a candidate. The dog, later identified by its owner as "Mister Buster," held the crowd spellbound as he barked, growled, and frothed at the mouth, eventually receiving a standing ovation for his exertions. "I liked what he had to say," she said. "He reminded me of Glenn Beck, only furrier." The Doberman's canine identity finally became clear when he lunged at a man in the front row and wrested a hamburger from his right hand, taking two of the man's fingers with it. "I liked the way he bit off that guy's hand, and the way he did his business in the middle of the stage," she said. "We need more of that in Washington." Remove me from this list. 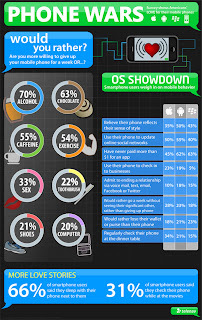 Sunnyvale, California — August 3, 2011 — Results of a recent national survey* commissioned by TeleNav, Inc. (NASDAQ: TNAV) indicate that Americans are willing to give up some of life's greatest pleasures in order to hang on to their mobile phones. Not surprisingly, smartphone users were more attached to their devices than were feature phone users, with iPhone users leading the pack. 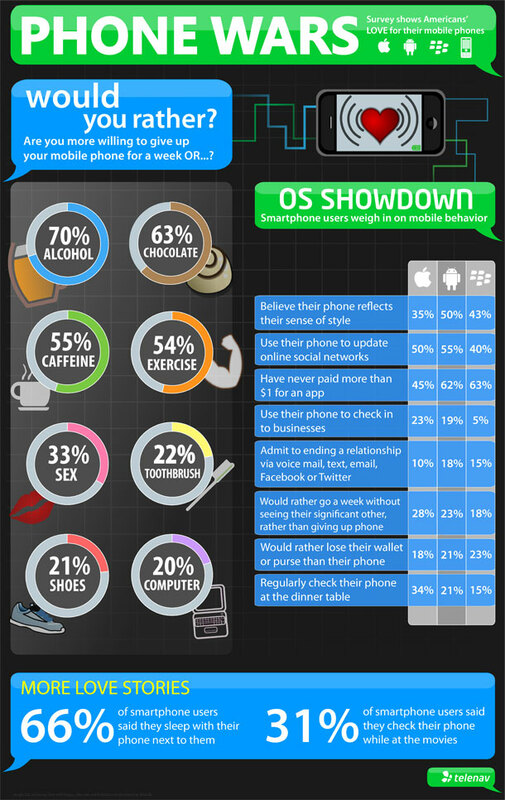 In fact, iPhone users were more likely than their Android or BlackBerry counterparts to spend a week without their significant other, exercise or shoes—rather than go a week without their phone. While 22 percent of all respondents said they would rather give up their toothbrush than their phone for a week, this number jumped to a whopping 40 percent among iPhone users. Halitosis and other priority quirks aside, 83 percent of iPhone users thought other iPhone users would make the best romantic partners.